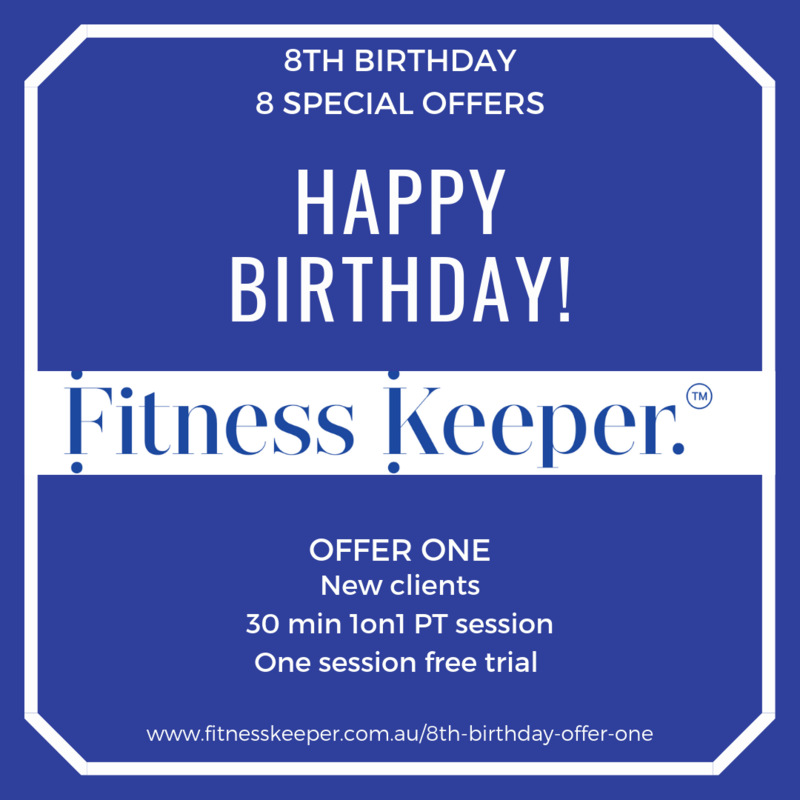 To celebrate turning 8, we have 8 special offers that we will be releasing one-by-one. Stay tuned and spread the word! 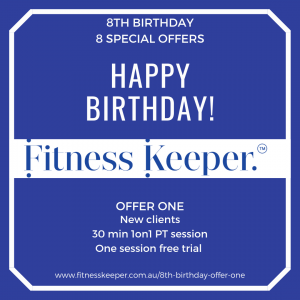 New clients* 1 x free 30 min 1on1 personal training session at the Fitness Keeper Studio. One trial session for one person, valid once and to new clients only. Sessions subject to availability. All sessions must be booked in as we operate by appointment only. Valid only for personal training sessions (excludes exercise physiology). The session will run for 30 minutes. Contact Fitness Keeper to book or enquire. *New clients = any individual who has never trained at/with Fitness Keeper or used any of Fitness Keeper’s services.